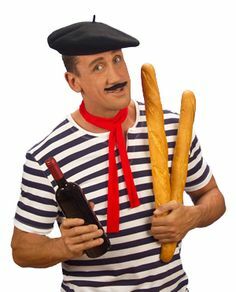 In retaliation to the French government’s ban on the burkini the Saudi Arabian government has banned the wearing of striped Breton fisherman shirts and berets. Special police patrols have already begun in Riyadh to round up any ten year olds caught smoking tiny cigarettes. Several mimes have been imprisoned inside large glass boxes. In Sydney? Come and see our live show That’s (un)Australian! at Sydney Fringe Comedy on Sept 6, 8 and 10. Book tickets here. Reblogged this on Thai Fancy Pants.